Repsol Honda’s Marc Marquez and Dani Pedrosa are headed for the ultimate race of 2014 in front of their home fans. En route to Valencia, both riders paid a visit to the EICMA Milan motorcycle show where they unveiled Honda’s new production version of the RC213V (RC213V-S Prototype) and appeared with all HRC factory riders across multiple disciplines of motorcycle racing. 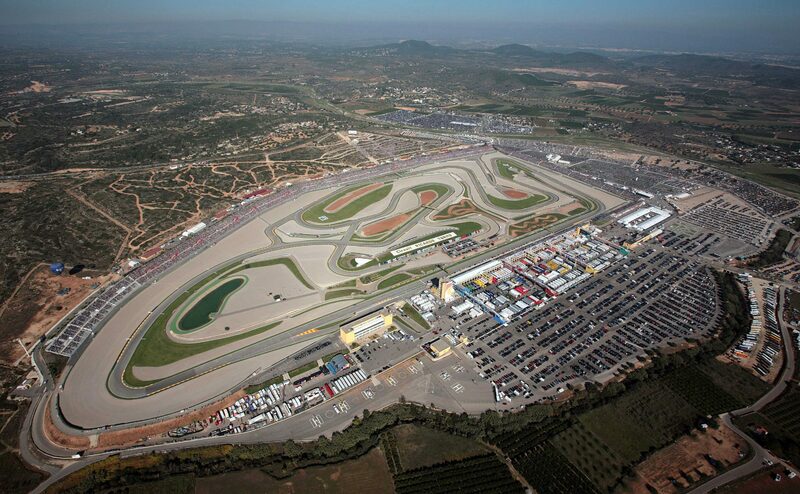 The MotoGP race at the Circuito de la Comunitat Valenciana is held on a 4km track comprising of five right handed corners, eight left handers and a 650m straight. Although the track is regarded as quite small, the stadium style grandstands can seat up to 150,000 spectators, and many fans are expected to come and greet 2014 World Champion, Marc, and watch Lorenzo and Rossi battle it out for third in the World standings, with Dani a firm favorite at a track where he has an incredible record. Marc has experienced very dramatic Valencia GP’s in the past two years, after clinching the title here last year – in his maiden season – and in 2012 with his emphatic victory from last place on the grid to 1st in Moto2 however, these remain his only podiums at this track. Dani, who unfortunately crashed out of the Malaysian GP, has now secured fourth in the World Championship and has celebrated nine podiums in Valencia which include six 1st positions – 2012, 2009, 2007 (MotoGP), 2005, 2004 (250cc), 2002 (125cc). Both riders will be aiming to beat Lorenzo and Rossi to clinch the Team’s Title for Repsol Honda, and thus granting Honda back-to-back Triple Crowns (Rider, Constructor and Team Championships). The past month has been a whirlwind and winning the Championship in Japan seems like a long time ago now! After Malaysia we attended an event with Honda and Alpinestars in Thailand on the way home and then had a few days to relax in Spain and do some training before leaving for Milan to visit the EICMA show. It was a really good event with many people there, I really appreciate all the kind words from everyone I met! Now we head to Valencia for the final race of an incredible season. It’s always nice to race in front of the home fans and this year will be much more relaxed and I will be able to enjoy it without any pressure!